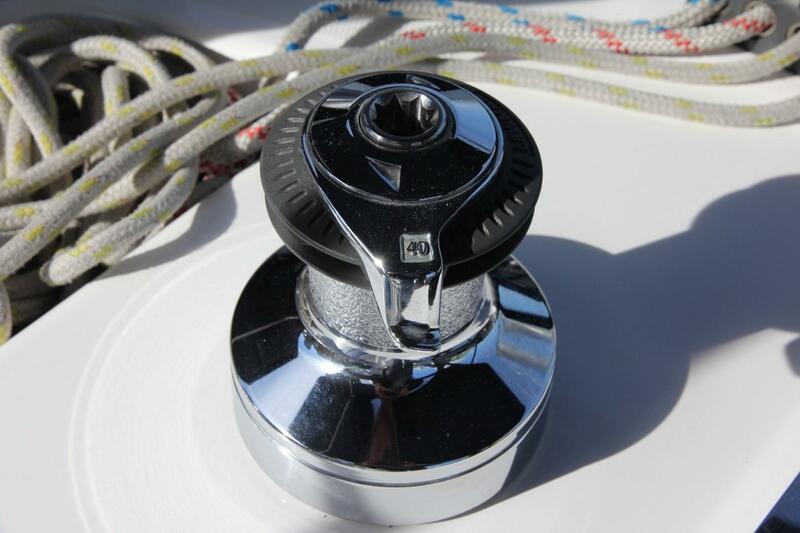 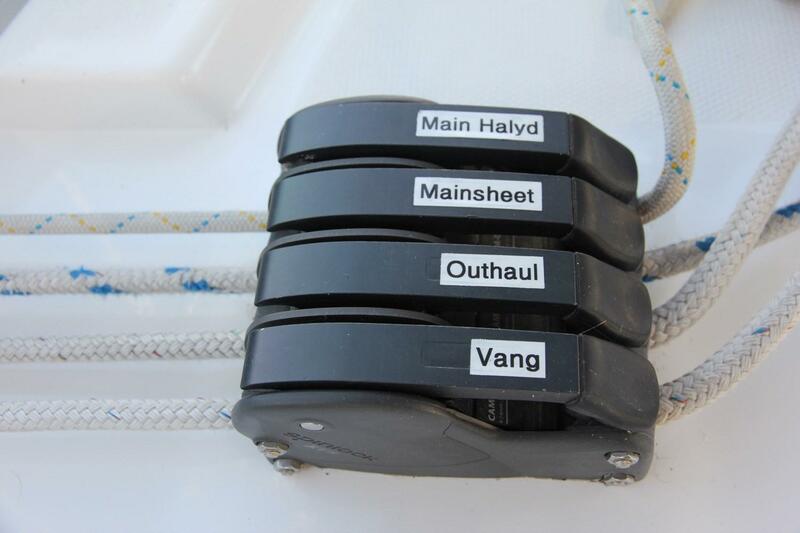 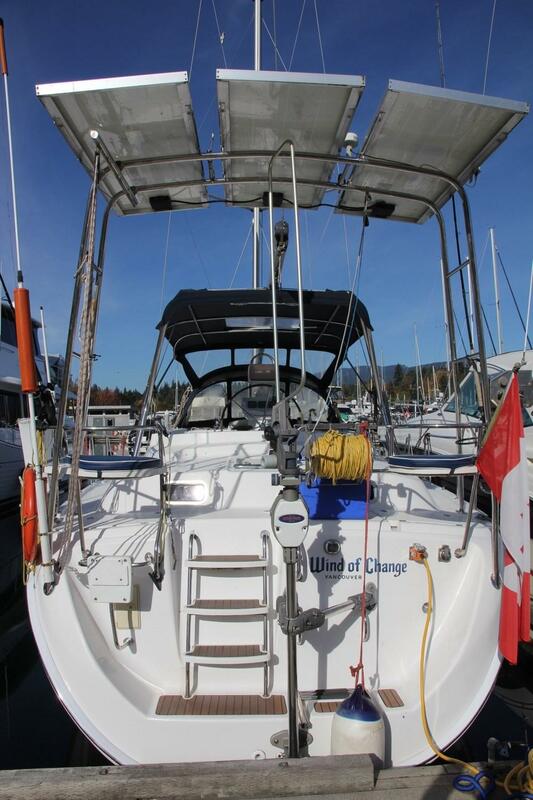 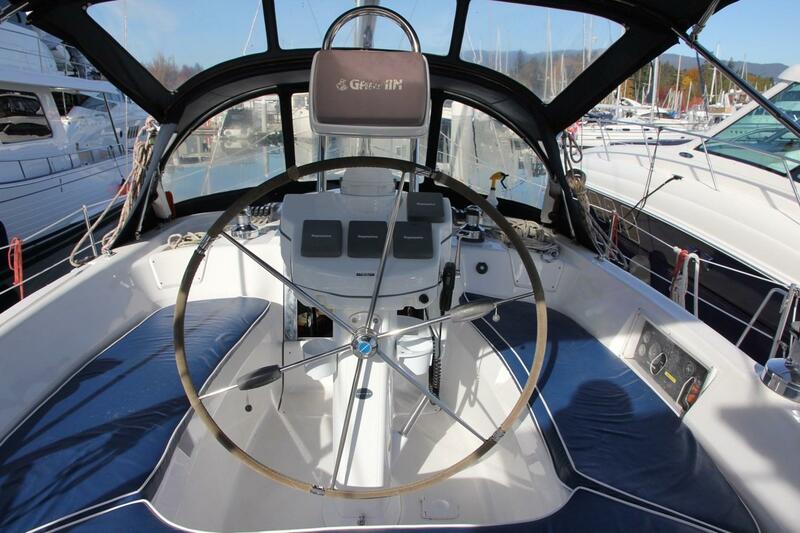 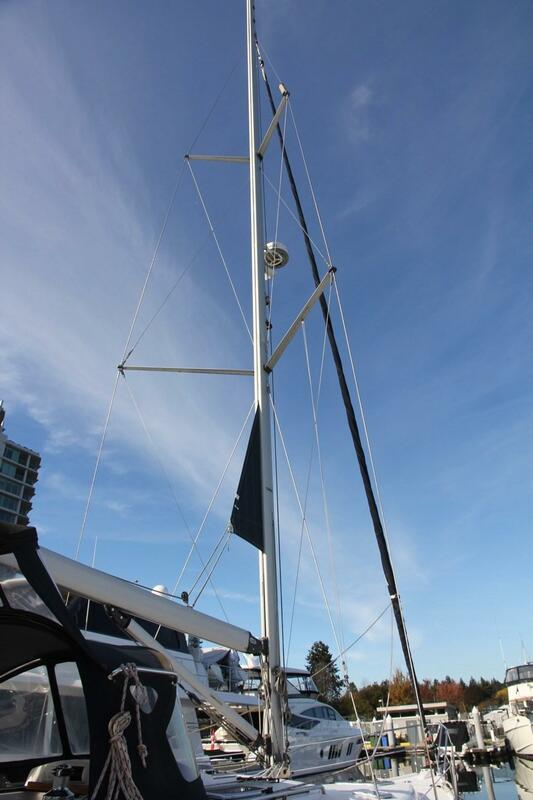 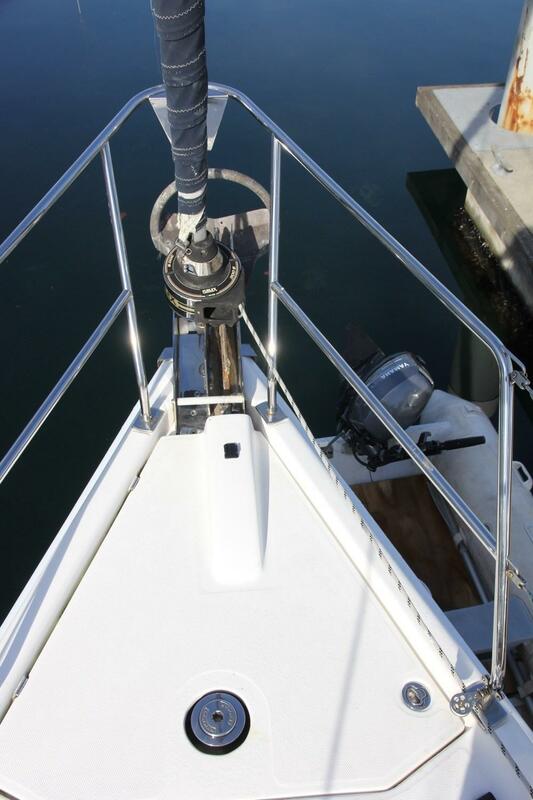 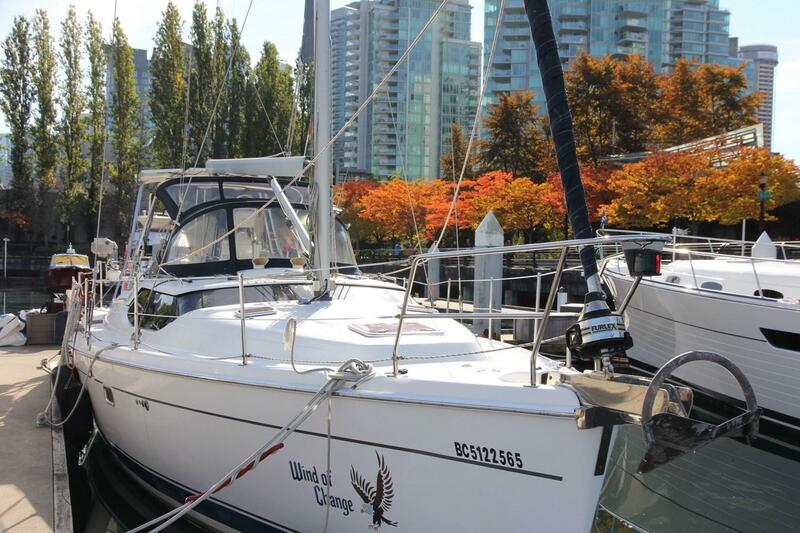 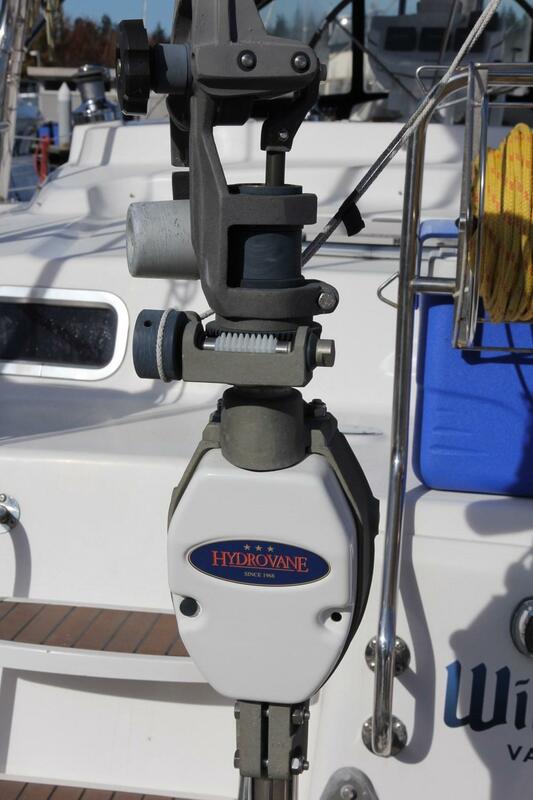 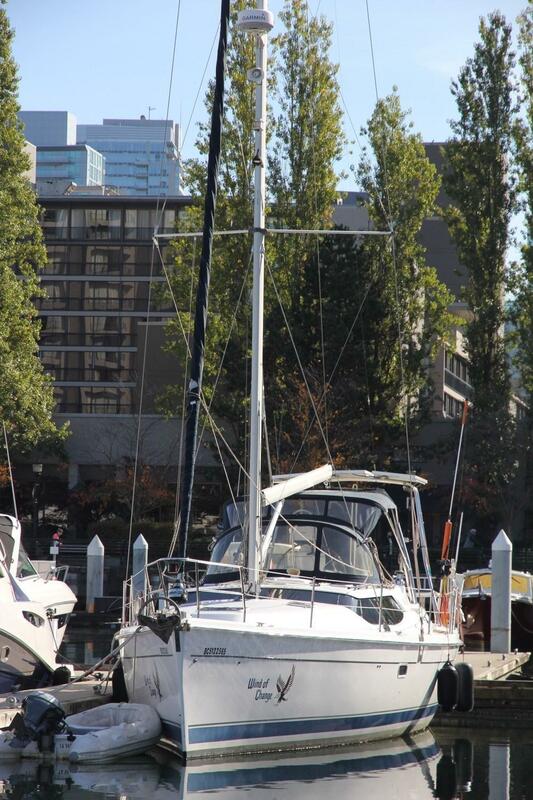 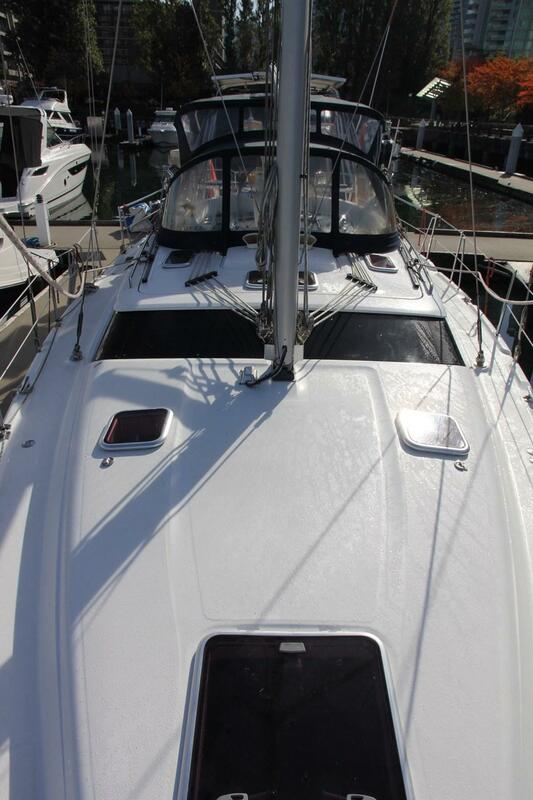 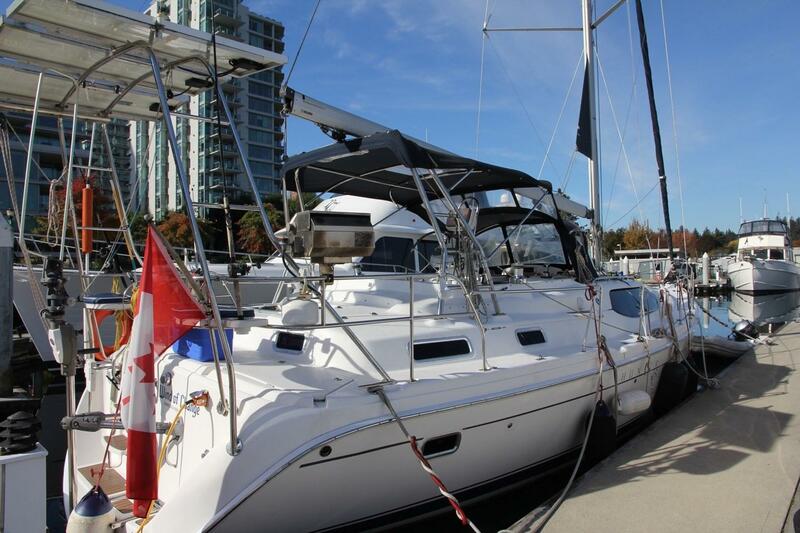 Winds of Change is a fully outfitted, well maintained Hunter 45 Centre Cockpit model that has been equipped for extensive local cruising or offshore adventures. 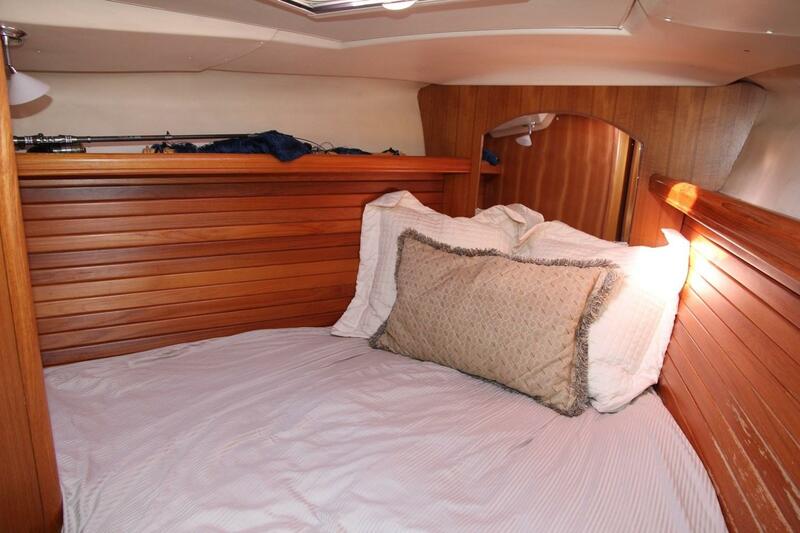 She is a “CE category A” yacht. 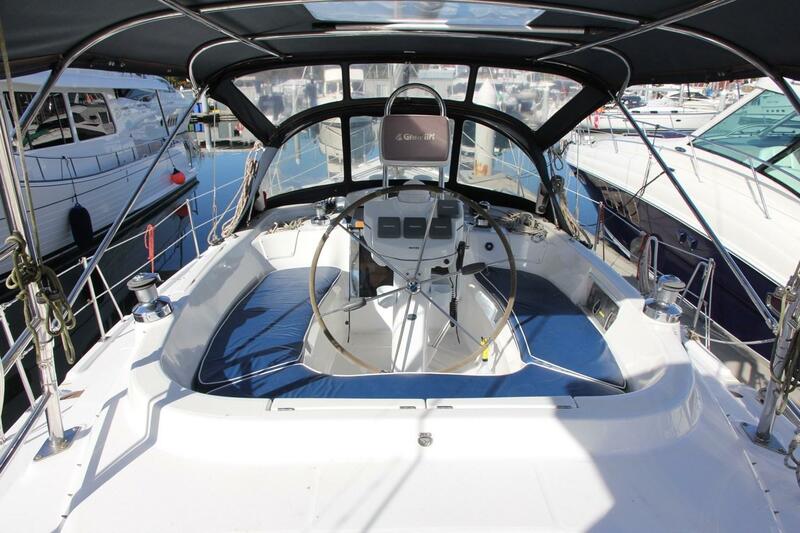 Hunter is well known for centre cockpit passage making yacht design. 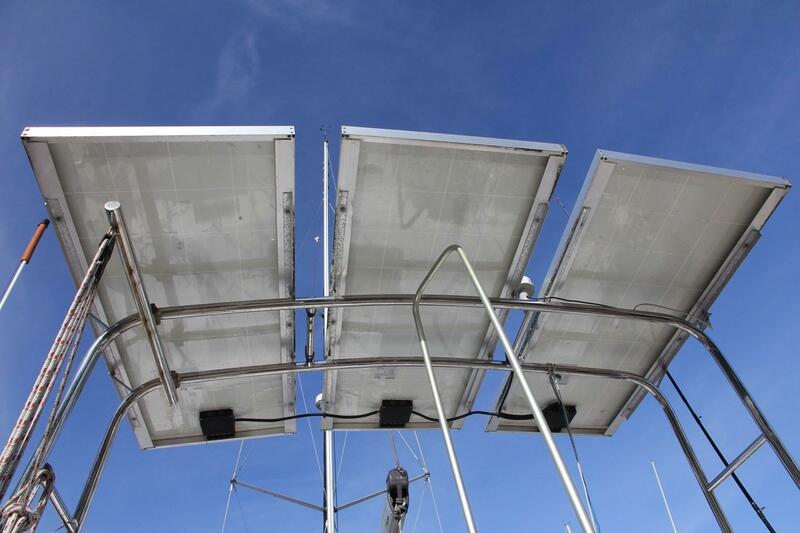 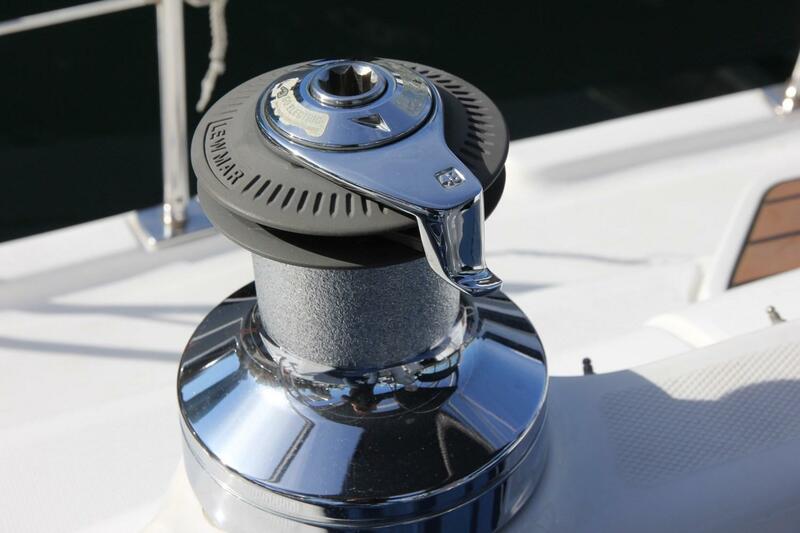 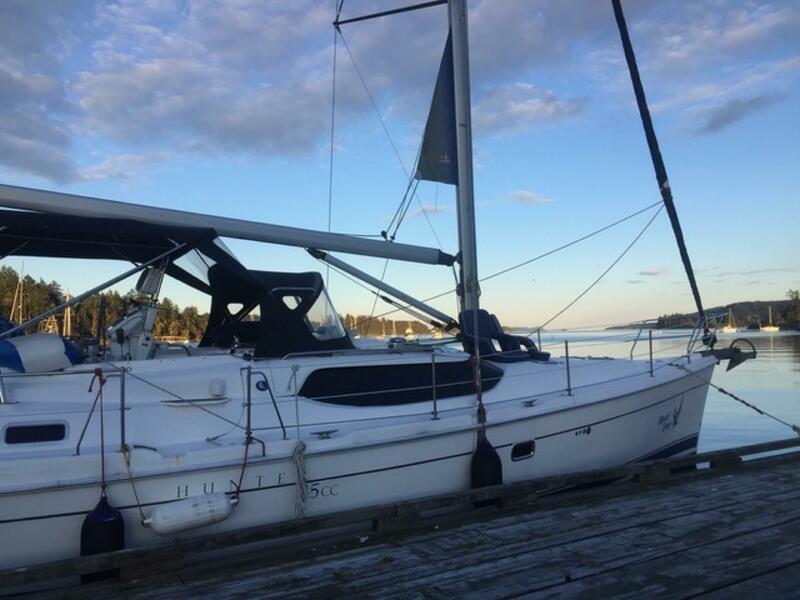 The fractional sailplan, in-mast furling, large keel and rudder all combine to provide lively performance, a smooth ride and impressive response with precise control. 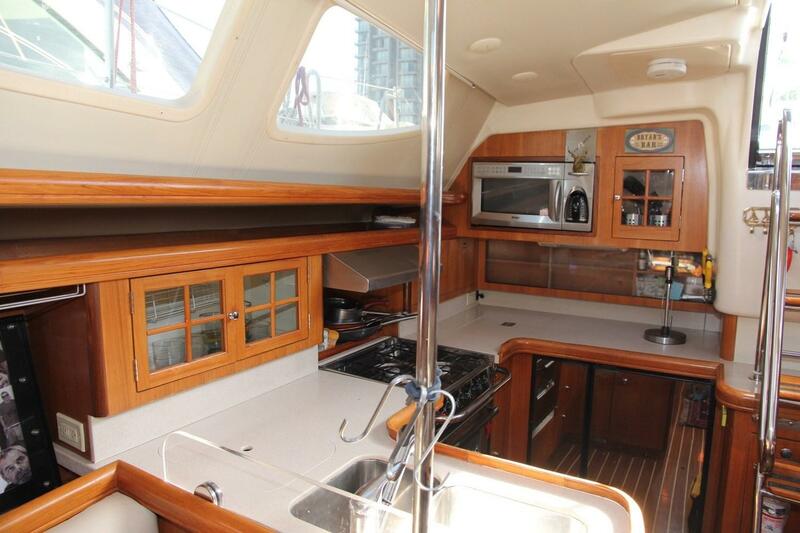 Her interiors have exceptional living space, plenty of headroom, a bright and open salon, U shaped galley, ample storage throughout, navigation station, separate ensuite, and luxurious accommodation cabins, all providing guests and crew with comfort and privacy. 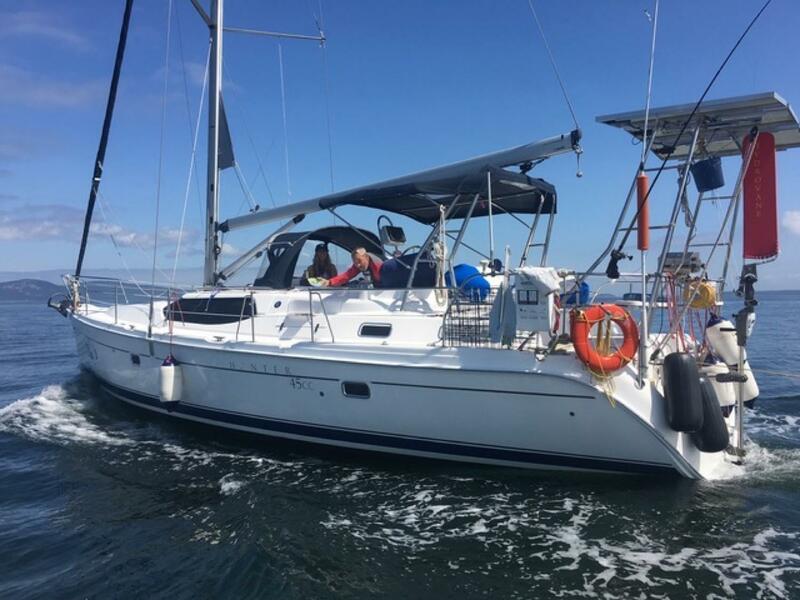 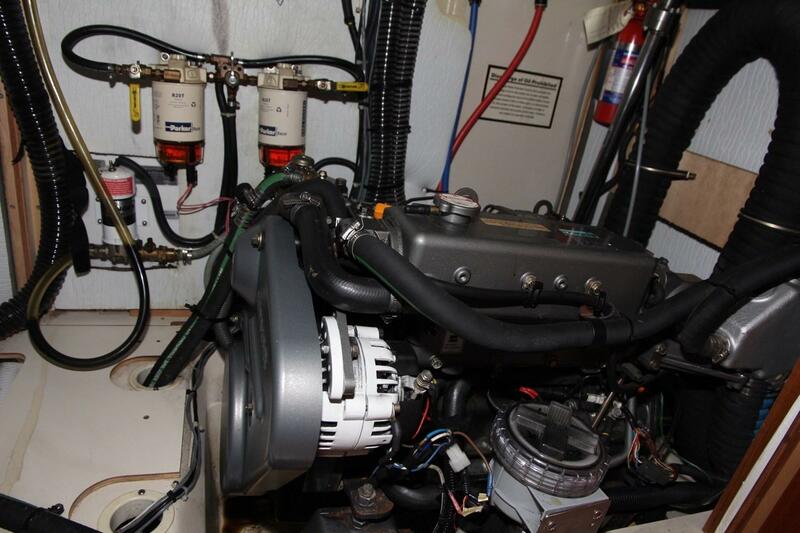 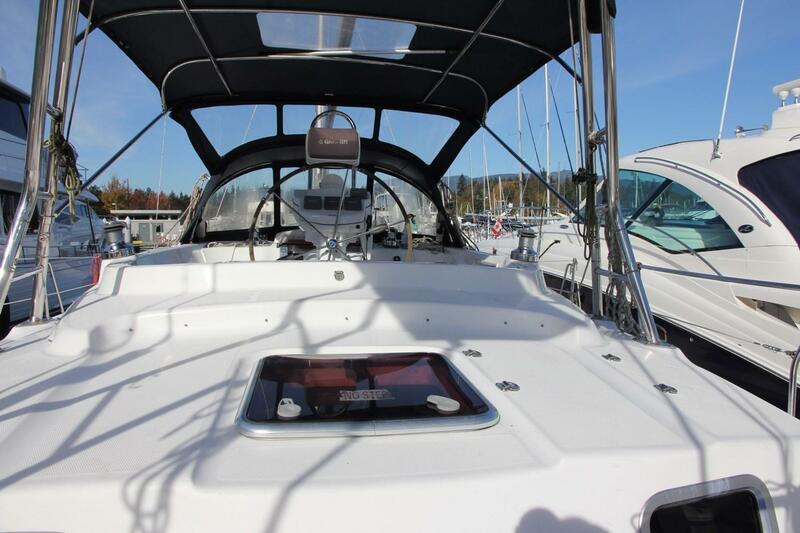 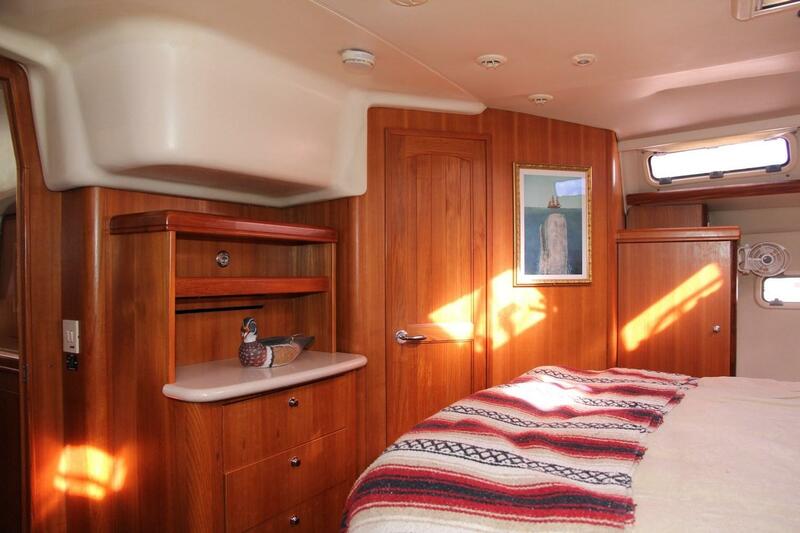 Wind’s of Change’s spacious interior is bright and well ventilated with opening hatches and portlights throughout and a Espar hydronic heating system providing warm year round cruising. 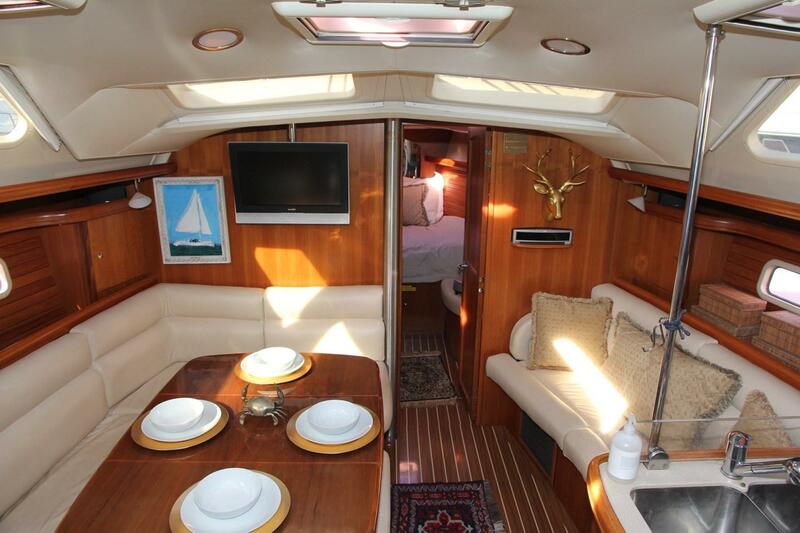 She is finished in beautiful teak joinery, teak and holly soles, and beige leather upholstered cushions. 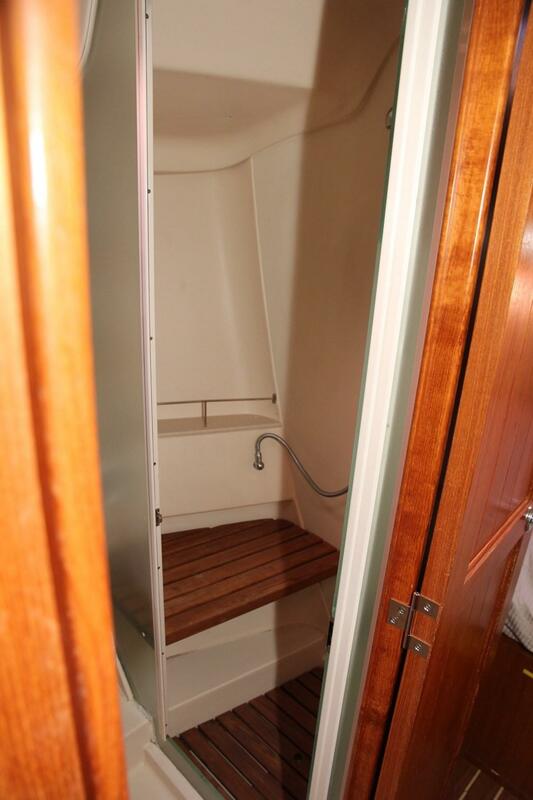 Starting at the bow there is a spacious forward cabin featuring a large v-berth as well as ample storage in a hanging locker. 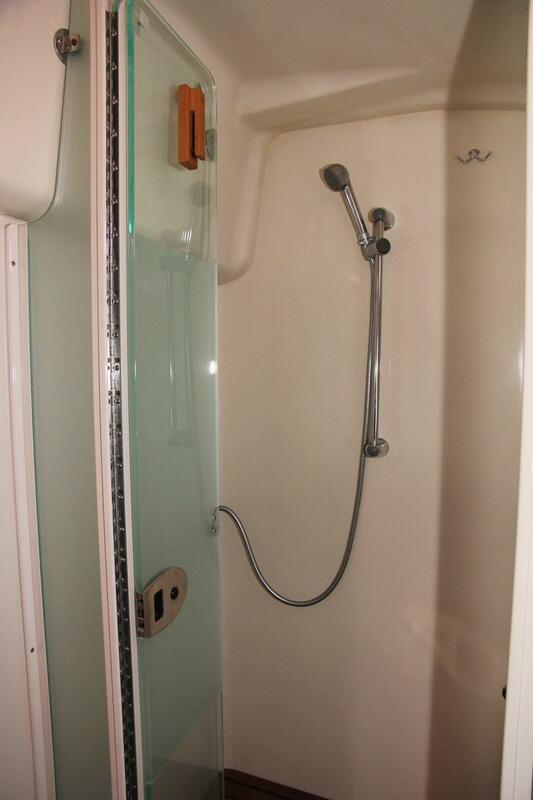 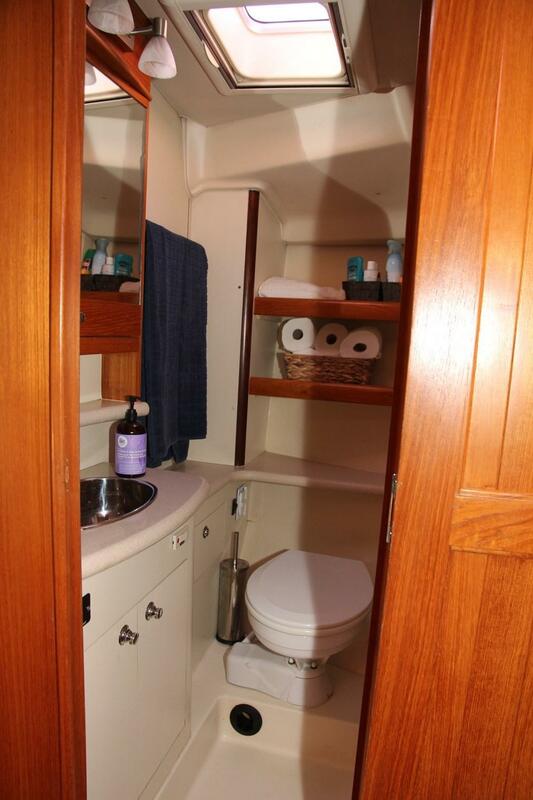 The forward cabin also has its own private ensuite with vanity and separate shower. 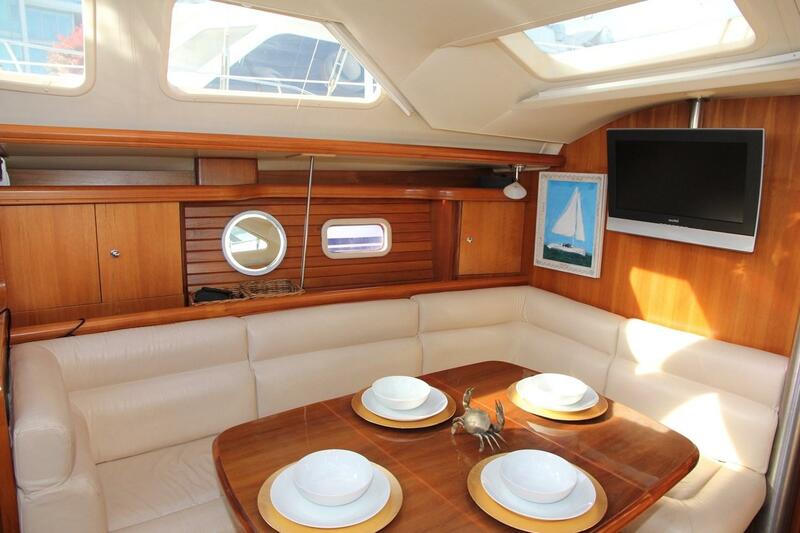 Aft of the forward cabin is the main salon, the port side features a L-shaped settee with comfortable seating and a beautiful dining table. 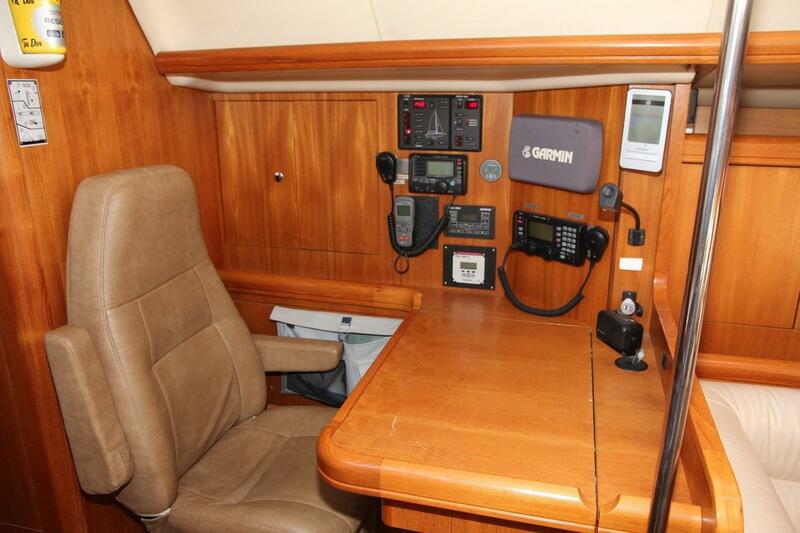 Aft is a well played out navigation station with custom chair. 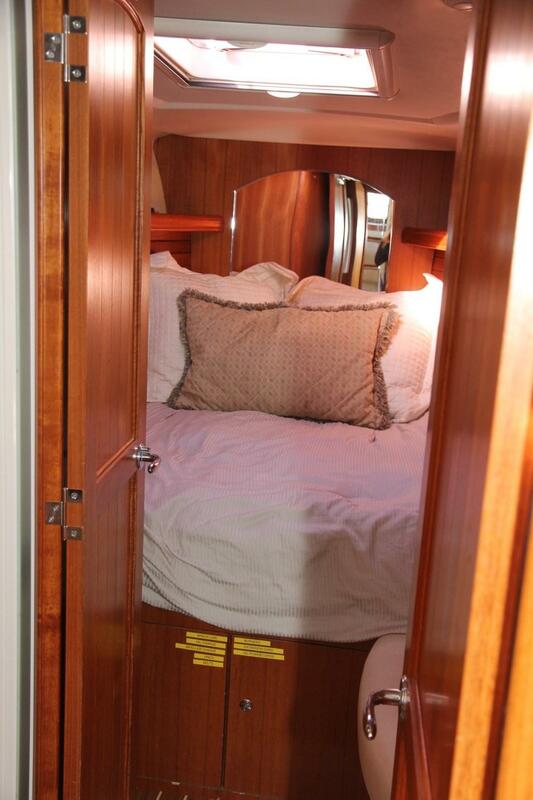 The forward bulkhead features a flatscreen TV and a Bose DVD surround sound system. 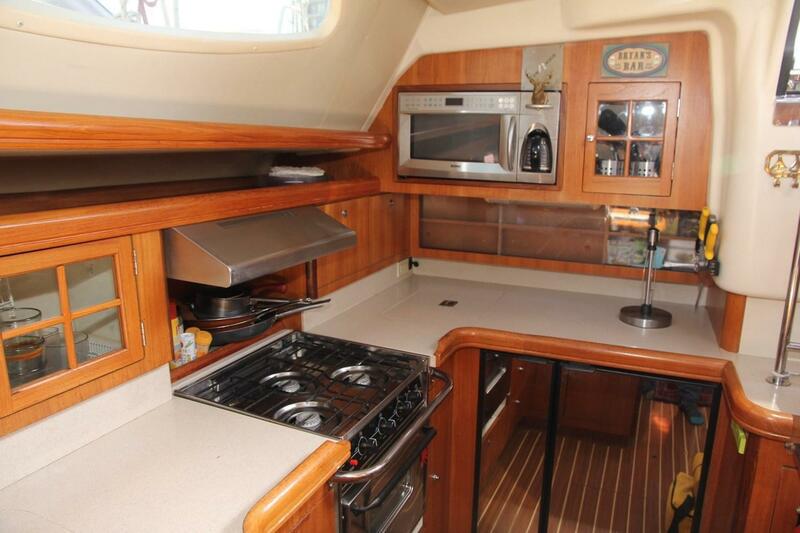 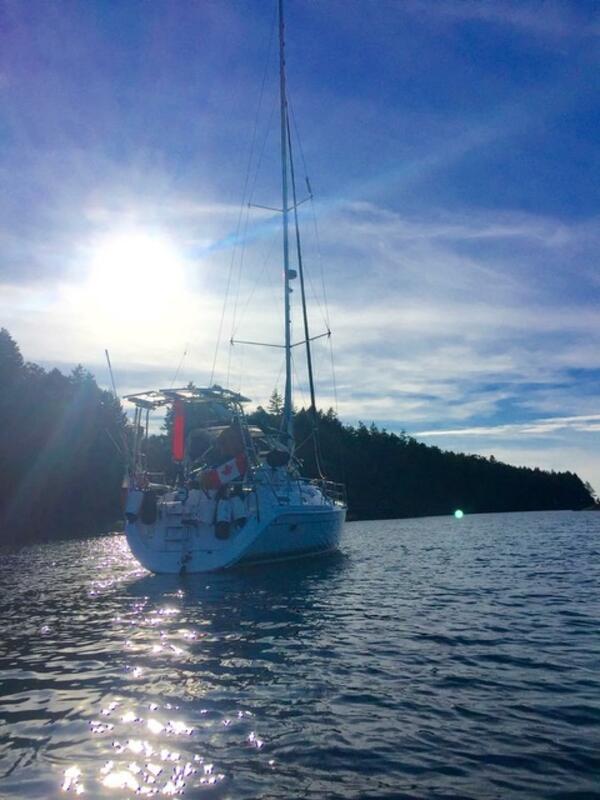 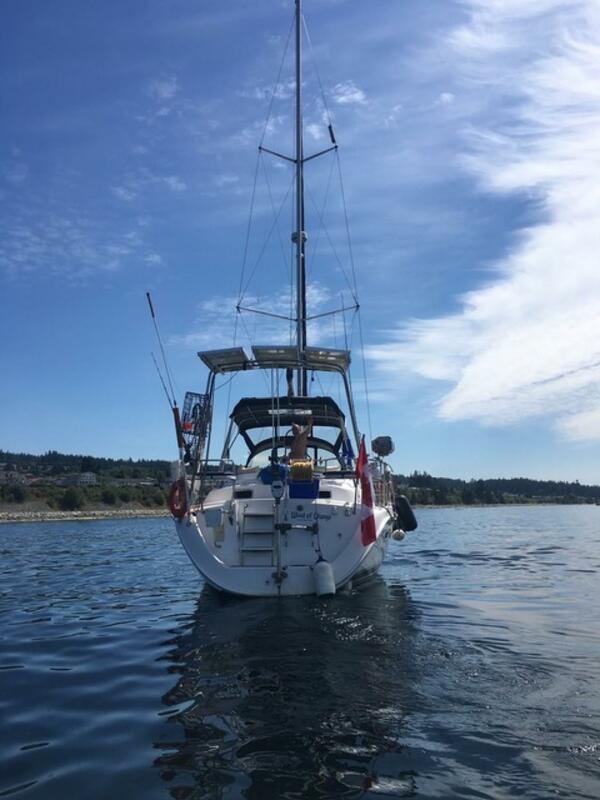 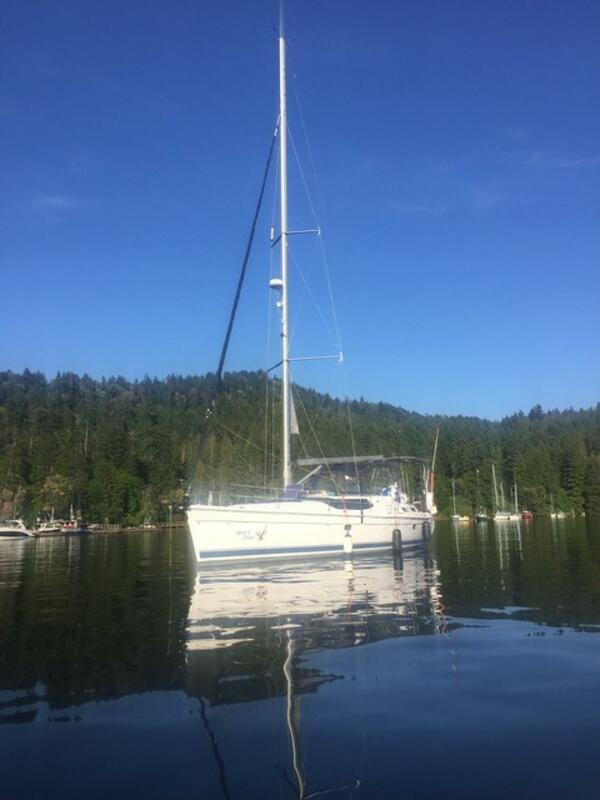 To starboard is a well laid out large U" shaped galley with a double sink, stainless propane stove with oven, hood fan, microwave, coffee maker, front loading fridge and freezer as well as a separate top loading freezer and lots of storage both above and below the counters. 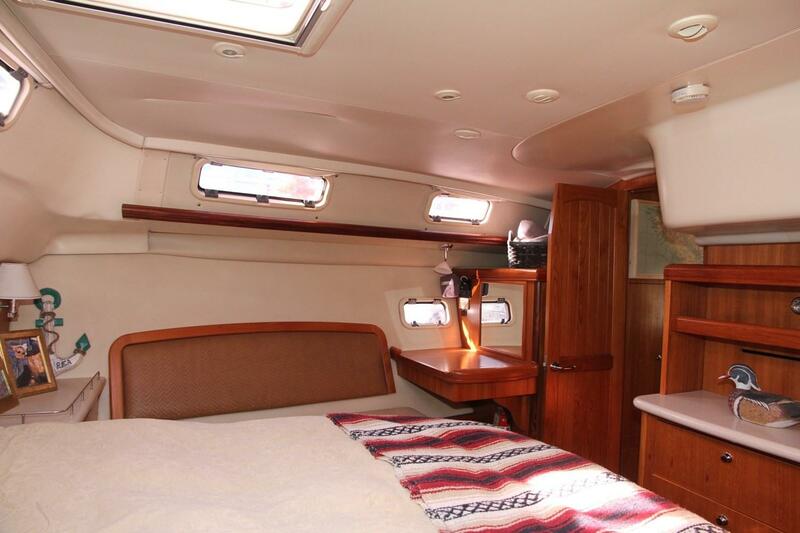 Portside aft of the navigation station the companionway leading to the master stateroom has engine room access and a hanging locker. 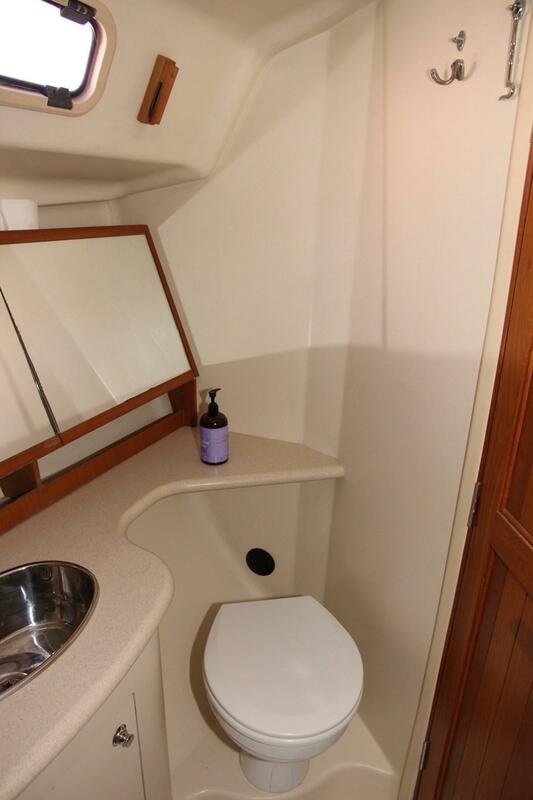 The centre line walk around queen berth dominates the spacious cabin, with additional bench seating and storage on either side. 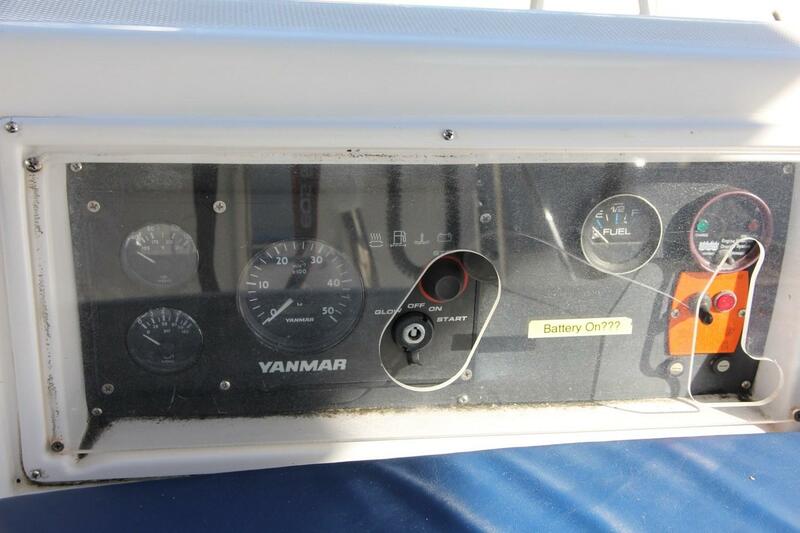 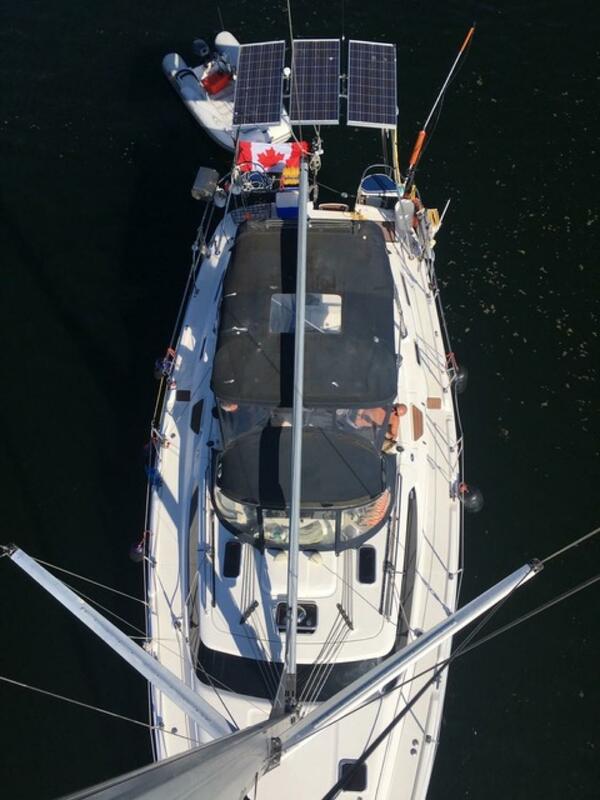 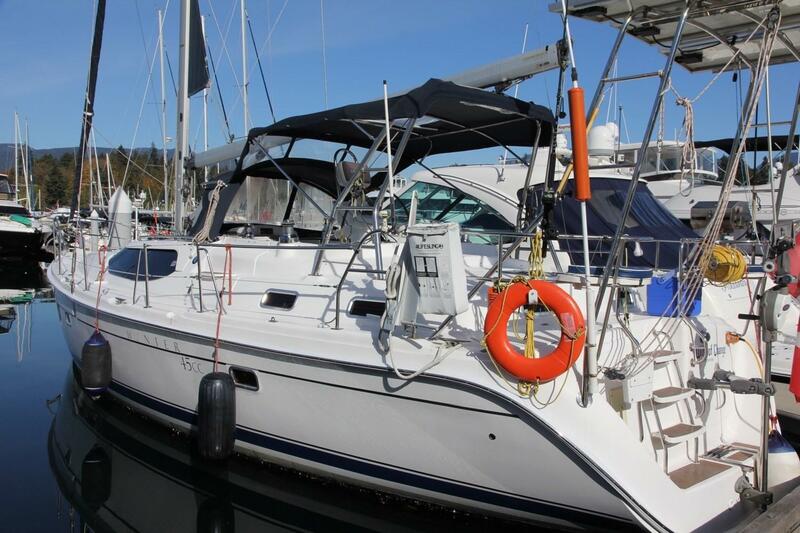 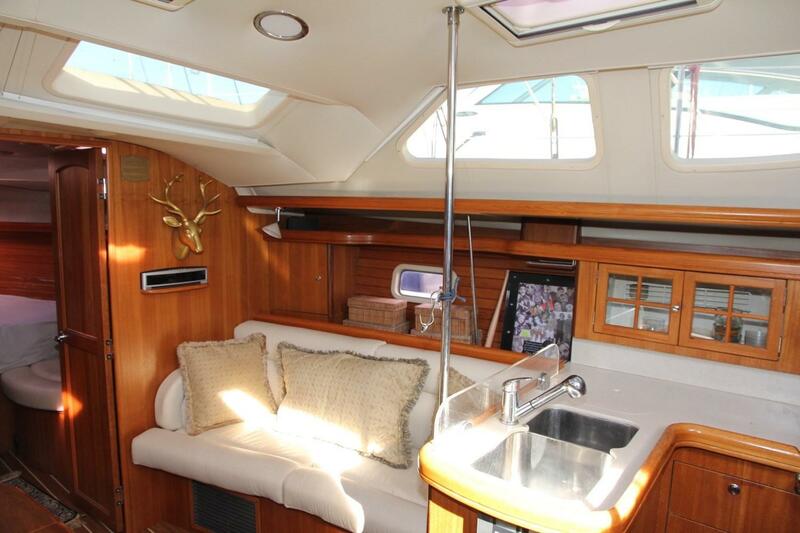 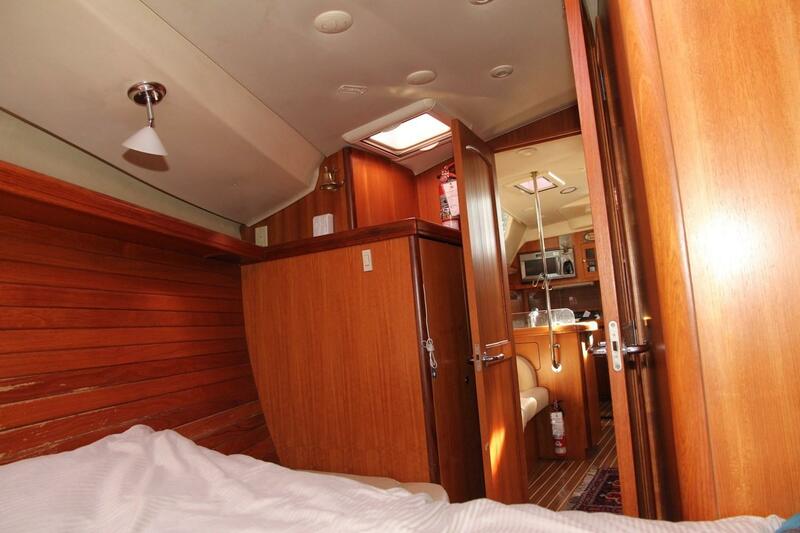 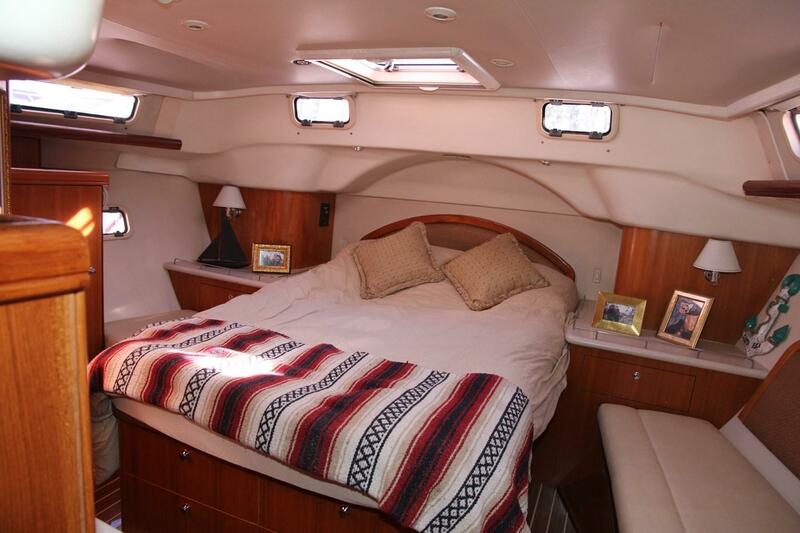 Portside of the cabin has a small chart table and GPS repeater, forward is a large chest of drawers and shelves, starboard is the private ensuite with vanity and separate shower. 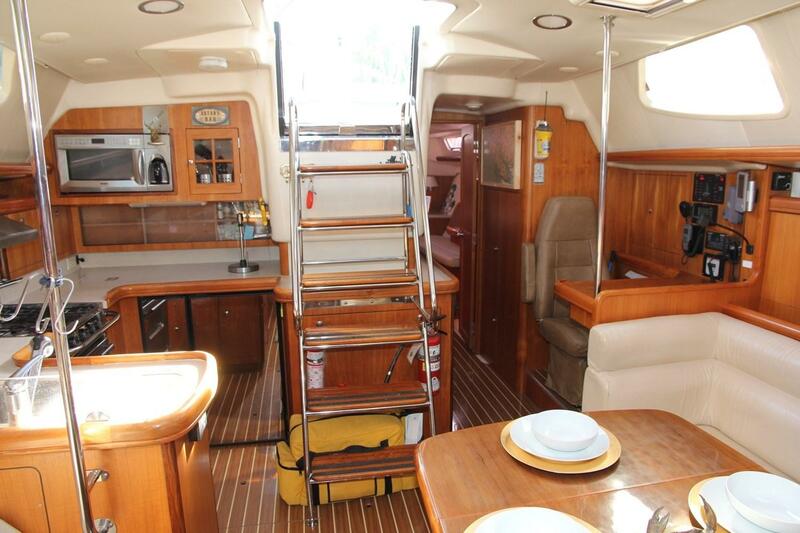 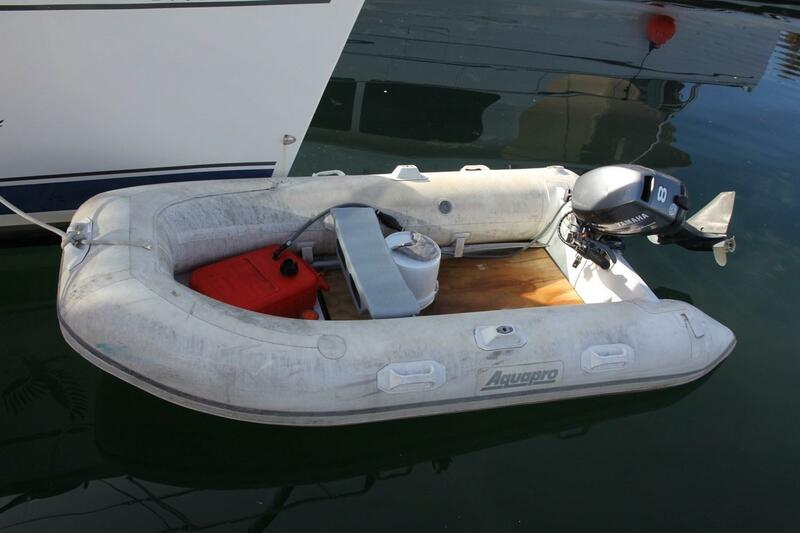 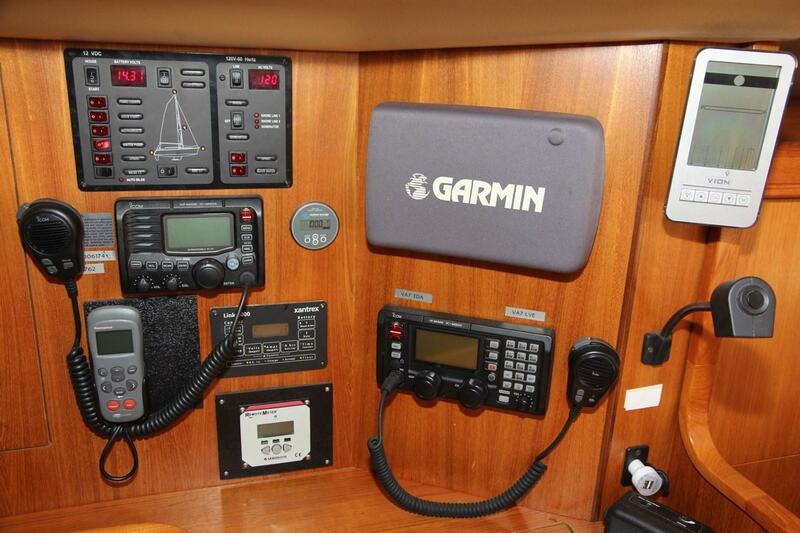 Not included in the sale is all personal gear, artwork, assorted galley equipment, linens etc. 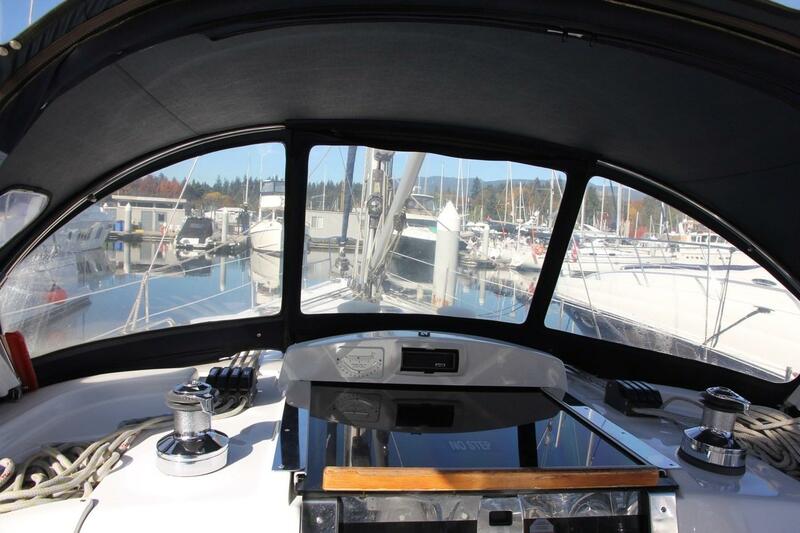 Hi there, I would like more information about the Hunter Center Cockpit.